Western Melbourne Tourism is a member of the Victoria Tourism Industry Council (VTIC) , Victoria’s peak leadership organisation working on behalf of Victoria’s tourism sector. VTIC lobby various levels of government to ensure tourism in Victoria receives the attention and support it deserves. VTIC offers pertinent up-to-the minute news and information, opportunities to connect with others in the industry, fully accredited training for tourism professionals at every level and invaluable workplace and employer advice to help Victorian tourism and events businesses stay ahead of the game. VTIC is a powerful ally for tourism and events businesses at all levels, from B&Bs to major attractions, event facilities or tourism infrastructure providers. Industry Events – VTIC hold a range of events throughout the year for members of tourism and events industries to participate in. The free Webinar Series is a great resource helping the industry to learn and grow with different topics each month. More information can be found here. Happening the first Wednesday of every month, the VTIC Mixer Series is a great chance to broaden your network – and have a great time! A great opportunity to grow your business, enroll in the Tourism Marketing Academy & Mastermind program with passionate industry mentors Rebecca and Paige. Tourism operators will discover more than just the “How To” basics of tourism marketing. Instead, you’ll learn how all of the components of marketing a tourism business come together with a focus on achieving business objectives, and how to drive real growth & sustainability. The Academy is facilitated (totally) online over the period of 6 months, starting 20th March 2018. VTIC members also receive a 20% discount! FOR DESTINATIONS: A new Mentoring Program for Visitor Information Centres, coming soon! Tourism operators throughout Australia are able to benefit from a digital training program designed to increase their uptake of new technologies widely used in the marketplace. Research shows only 40% of tourism businesses optimise their websites for search capability and only one in two tourism websites are mobile friendly. 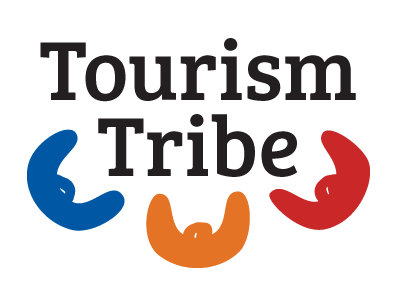 The 64-module program, the Tourism eKit, is geared to support, train and raise the online exposure of tourism businesses. The program is a subscriber based tool for any tourism businesses exploring different digital marketing options. Comprising of a series of tutorials, the kit covers all aspects of on-line marketing from basics such as creating a user-friendly website to tracking and reporting online traffic, marketing by email, conducting a Google Adwords campaign and even developing an online presence in the Chinese market.